A BMW skidded off a Moray back road and ploughed into a garden fence. The driver and one male passenger were miraculously uninjured in the accident, shortly after 10am on Saturday. The incident took place at Calcots on the B9103 secondary road between Lossiemouth and Lhanbryde, near the junction with Milltown. The blue BMW 330 was travelling north at the time, and collided with a stone wall and a fence before overturning. 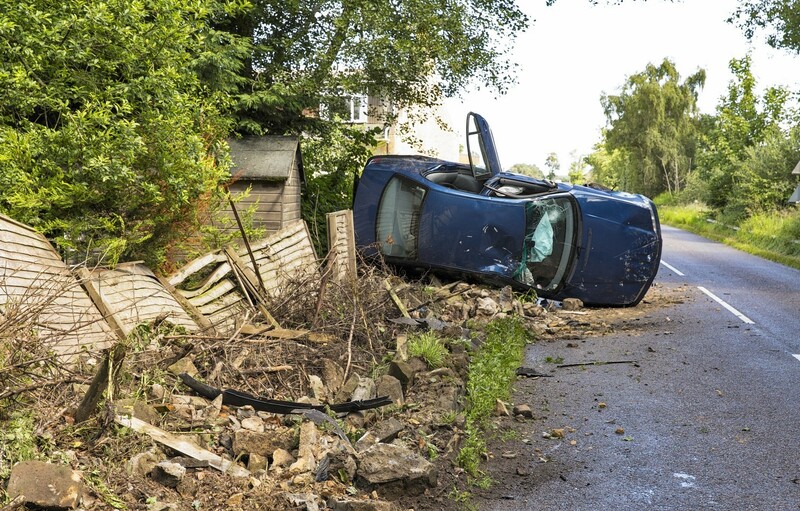 Police officers and two fire engines attended the scene and one carriageway on the road was closed for over an hour while debris was swept away and the lane made safe. A police spokesman confirmed: “We received reports of a blue BMW 330 having come off the B9103 Lossiemouth-Lhanbryde road at about 10.10am on Saturday morning. “The driver was uninjured but we remained at the site when the road was made safe and oil spillages were cleared. Last September a motorist had to be cut free from his wrecked Fiat 500 after it collided with a red Ford Kuga just south of Lhanbryde on the B9103 Lhanbryde to Inchberry road. Meanwhile, two pensioners were taken to hospital yesterday following a two-car crash. Police, fire and rescue and ambulance services were called to incident involving a grey Nissan Note and a parked blue Saab on Harlaw Road, Inverurie, at around 1pm yesterday outside Autoparts. The driver of the Nissan Note and his female passenger were taken to Aberdeen Royal Infirmary following the crash – however the severity of their injuries is not known. Locals described hearing a “massive bang” after the grey Nissan Note the pair were travelling in smashed into a parked blue Saab. The woman was described as being in a “serious” condition when emergency services arrived but was brought into a “stable” condition on scene.